Home Design Pokémon The Essence of Pokémon Has Been Lost. Now What? The Essence of Pokémon Has Been Lost. Now What? 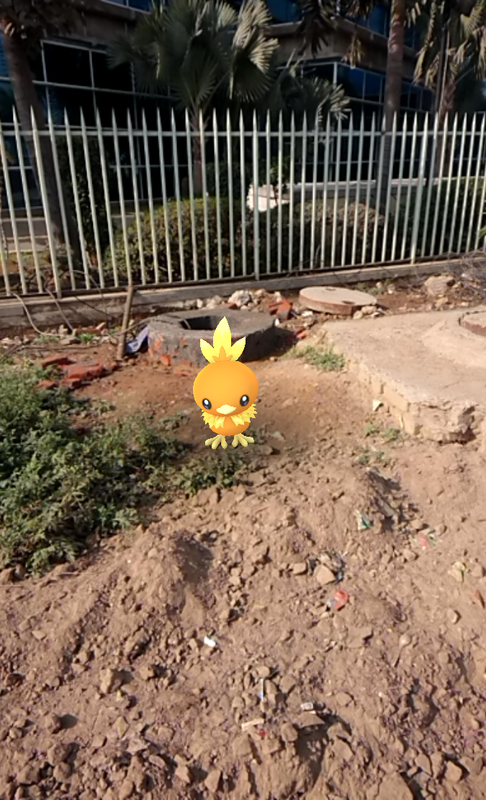 In 2016, Pokémon took a significant step forward with Niantic’s Pokémon Go. The San Francisco-developed smartphone game elevated Pokémon from a franchise that consistently sells around 16 million units per game to one that has managed to reach over 752 million people worldwide and earn over $1.2 billion in revenue. A lot of that comes down to the game a) Being Pokémon, b) Being free, and c) Being available on smartphones. Those aren’t the only reasons Pokémon Go is as popular as it is, though. There have been other Pokémon games available for free on phones, but none as popular as Go has. The reason for this is that Pokémon Go is the only game that manages to recreate the essence of the original Pokémon games. What made Pokémon Red/Blue as addictive as they were back in 1996? It was the fact that players loved being able to find and capture imaginatively designed creatures by poking around different corners of the world, and then growing and customizing these “Pokémon” to be their partners in a coming-of-age journey. Well, that’s the simple answer anyway. 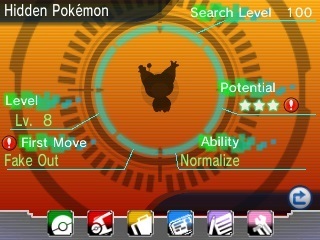 The more complex (and interesting) answer is that developer Game Freak created the perfect gameplay loop of asking the player to explore Red/Blue’s world (by giving them an assignment to complete the Pokédex), this exploration being rewarded (with new Pokémon), the aforementioned reward encouraging grinding (to evolve the Pokémon you found into an even cooler Pokémon), the grind conferring another reward (a cooler and more powerful Pokémon), and this reward encouraging even more exploration (to find yet another new Pokémon that you can then evolve). The key to Pokémon Red/Blue’s design is that it actually required you to put in a significant amount of work to find the Pokémon you wanted. Caterpies and Pidgeys were capturable by the dozen, but if you wanted something with a bit more edge like a Scyther, you would have to spend time in corners of the game you may not have paid as much attention to otherwise. In the case of Scyther specifically, this involved spending money to gain entry to the Safari Zone and trying your luck at catching Bug-Types there. Meanwhile, if you wanted to evolve your Charmander into the much cooler and more powerful Charizard, you would need to endure a multi-hour grind, nurturing him up to level 32 little by little. There were complexities involved with the evolutionary process, too, which made the player think about what the best way to approach Pokémon evolution was. If you held off on evolving your Pokémon, it would learn its advanced moves sooner. This meant you could get Flamethrower on your Charmander sooner, and evolve it into a Charizard once you had it. On the other hand, if you evolved your Pokémon sooner, it would gain better stats with each subsequent level-up, but at the cost of learning advanced moves later. It was a simple system that even a 10-year-old could make sense of, and it gave the player a greater sense of control over what they were doing with their Pokémon partners. Finally, there were the Legendaries. If you wanted to get your hands on one of the rare “Legendary” Pokémon in the game, you would first need to discover that they existed at all. Then you’d need to build a team powerful enough to take them on, track them down, put them to sleep or paralyze them in battle, and then manage to capture them within a Poké Ball. Needless to say, this wasn’t easy and it could take hours if you were ill-prepared. In the case of Articuno, for instance, you were required to navigate the caverns of the Seafoam Islands to even find it. 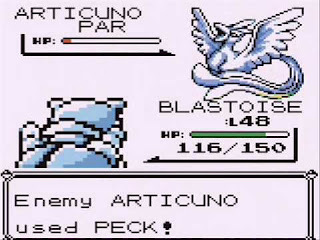 Doing so required a variety of abilities such as Surf and Strength if you wanted to reach the bottom-most level which Articuno had made its lair, and once you engaged it in battle, there was no guarantee you would actually capture it, even if you did manage to paralyze it or make it fall asleep. The result was that Pokémon Red/Blue asked a lot of the player, but because of this every reward the games conferred upon you felt well-earned. 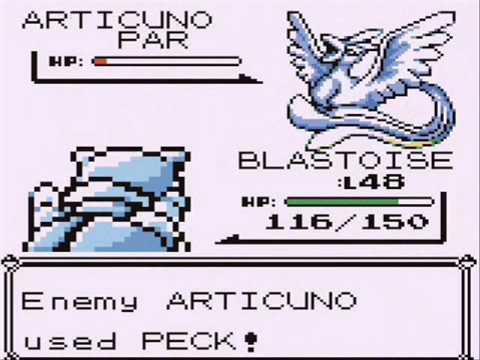 Not only did you feel you deserved that Articuno, you had all the experiences of your journey to capturing it that would stay with you and define your memories of the games. It’s because of these memories that we have such a fondness for Pokémon even today. Three years after Pokémon Red/Blue, Game Freak released Pokémon Gold/Silver. These games served as the perfect sequels to Red/Blue in every way. They maintained the structure and appeal of those games, built upon them in interesting and complex ways, and made the adventure feel even grander than before. Day and night cycles made you feel as though you were out adventuring late at night, the introduction of breeding provided yet another avenue to find elusive Pokémon, the introduction of the Dark and Steel types had ramifications across the entire game’s balance, and the hunt for Legendary Pokémon was more involving and challenging than ever, given that you now had to chase them across the world instead of just finding their lair and besting them in battle. Unfortunately, the games that have come after Gold/Silver haven’t been quite as adept at preserving what made Pokémon addictive. They’ve begun to subscribe to the idea of quantity over quality, and quick gratification over commitment and effort. Over the years, it appears that Game Freak and The Pokémon Company have recognized that players’ attention spans have become shorter, and instead of combating this with inventive game design the developers have chosen to follow current-day trends and made their games easier. As part of this process, they’ve also stripped Pokémon of its core essence. Want a super-special version of a Legendary Pokémon? You can download it off the Internet via a giveaway. Want a Shiny Pikachu? There’s a guy trading them by the dozen over on the Global Trading Station. 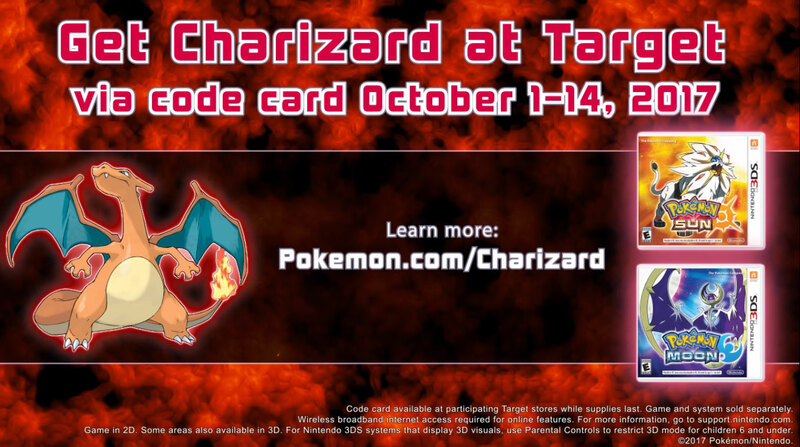 Want yet another Mew or Mewtwo or Jirachi to add to your collection? GameStop’s giving away codes at launch. Meanwhile, each subsequent generation has seen more and more Pokémon needlessly added to the Global Pokédex, and as the years go by their designs have become increasingly ridiculous along with their premise for existing. Where once there were a handful of Legendary Pokémon that were said to influence the weather or bring prosperity to the land, by the time of Pokémon Diamond/Pearl, there were dozens, each more ridiculous and needlessly grandiose than the last. One of them, Arceus, is said to be the creator of the universe, so if you managed to capture one: congratulations, you now have God for a pet and there’s really nowhere else to go. Amidst all these attempts to streamline Pokémon for a new generation of players, there have been two instances in between where Game Freak has given us an indication that they’re still capable of the balanced design that made Pokémon Red/Blue and Gold/Silver such great games. The first instance was Pokémon Black/White, where Game Freak made the bold decision to cut previous Pokémon generations off from the new games entirely, until you’d beaten the main story. To help fill out the new Pokédex for Unova, Black/White’s new region, the studio turned to wildlife for inspiration and made an effort to have the latest Pokémon designs mirror real-world animals to a greater degree. They then placed these new Pokémon in an New York-inspired continent with a challenging singleplayer campaign, where a wild Pokémon encounter could knock you flat on your back if you weren’t careful. This made for a wonderfully surprising game, where you were constantly reminded to stay on your toes, lest you came across yet another new Pokémon you knew nothing about, and it wiped out your party. Even the promotional Legendary giveaway for Pokémon Black/White was more thoughtful than the typical download code events we see today. Instead of downloading Victini—an elusive Fire/Psychic combination—into your game and having it delivered straight to you, Game Freak allowed you to download a ticket that gave you access to the part of the world Victini inhabited. Once you gained entry to this area, you completed a brief side quest to locate and capture Victini, and then returned to your usual business. The quest gave context to your actions and to Victini itself, and the entire affair felt very memorable amidst the swath of Mystery Gift Mews and Shiny Rayquaza Wi-Fi distributions. The second instance of great recent design was a remake of an older pair of games: Pokémon OmegaRuby / AlphaSapphire for the Nintendo 3DS. Where Pokémon X/Y failed to contribute to the evolution of Pokémon in any meaningful way, OmegaRuby / AlphaSapphire introduced an exciting new mechanic that, to this day, still holds the potential to change the way we play these games forever. The mechanic in question is the DexNav. 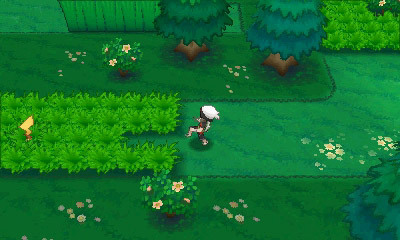 In Pokémon Omega Ruby / Alpha Sapphire, wild encounters are of two types. First, there’s the regular wild encounters that we’re all used to, where you walk through tall grass and a Pokémon leaps out to engage you in battle. These encounters function the same way they always have. And then, there are the more interesting encounters where you actually see signs of a Pokémon hiding in the grass before you engage it. This is indicated by a rustling of the grass (or cave floor). Once you’ve spotted a Pokémon in hiding, you can attempt to sneak up on it by tip-toeing in its direction, and ambush it before it flees. This is where the DexNav comes into play. 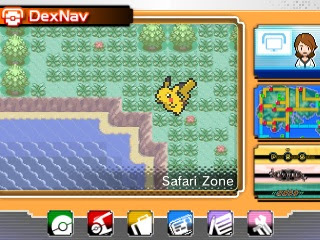 If you’ve met a Pokémon before in OmegaRuby / AlphaSapphire, its silhouette appears as an outline on the DexNav while you’re in an area, indicating that you can encounter it there. (The image above to the left depicts this) If you’ve actually managed to capture this Pokémon before, you’ll see a full sprite instead of just its silhouette. Tap on either the sprite or the silhouette and you’ll activate the DexNav’s “Search” feature, which lets you find other instances of that same Pokémon hiding in the grass nearby. The more times you encounter said Pokémon, the higher your “Search Level” gets, and the more information your DexNav displays about the characteristics of one you could potentially find rustling about in the grass around you. At higher Search Levels, the DexNav tells you the Pokémon’s level, what its first move is, what Ability it holds, and its “Potential” (a non-intimidating term for IVs—the hidden stats that professional players use to discern a Pokémon’s maximum potential). This information is useful in fine-tuning your search for the perfect Pokémon of a particular species. As you encounter a Pokémon in the world more and more, and fill your DexNav with information, you’ll begin to spot variants of that Pokémon species that have already learnt their Egg Moves at extremely low levels, making them far more effective combatants than their regular versions. These are the cream of the crop—the low-level Pikachu that already know powerful Electric moves, the level 5 Taillows with Boomburst. What’s that? You already have a Pikachu? Well, this one’s different. It learnt a different advanced Electric type move at level 10, and it has higher potential. They’re two different Pikachu, each with its own unique traits and abilities and personality. The most interesting part in all this is that you don’t even necessarily have to encounter a Pokémon in the wild for it to add to your DexNav’s search level. If an NPC in town happens to own a Pikachu and you interact with it, that counts toward your DexNav’s Pikachu Search Level, too. It’s a very smart way to to make all the random Pokémon you see scuttling about town feel like they’re part of the world and that they serve a purpose in your research endeavours. The process of capturing and evolving Pokémon in Pokémon Red/Blue and Gold/Silver. The process of capturing and evolving Pokémon in OmegaRuby / AlphaSapphire. The images above illustrate how the DexNav in Pokémon OmegaRuby / AlphaSapphire turns the search for Pokémon into a fun, involving process that requires research, patience, and skill. How it builds upon the foundation established in Pokémon Red/Blue, and makes the search for regular Pokémon feel engaging and memorable again. How it opens the metagame of IVs up to regular players and encourages them to find the best type of their favourite Pokémon. It is a magnificent design achievement that makes the player feel like a legitimate Pokémon researcher whilst elevating the gameplay loop at the same time. Unfortunately, in typical Game Freak fashion this is a feature that was introduced for a single game and hasn’t been explored any further in subsequent follow-ups so far. It may be a while until it resurfaces. The year is 2018. Pokémon Go exists and has 65 million monthly active users. The game, like OR/AS builds upon the foundation established in Pokémon Red/Blue and places the focus primarily on the search for rare and elusive Pokémon. In 2016 and then again in 2017, Niantic famously stated that the game was “only 10% complete” even though, to many, it was all they needed to remind them of why they loved Pokémon in the first place. 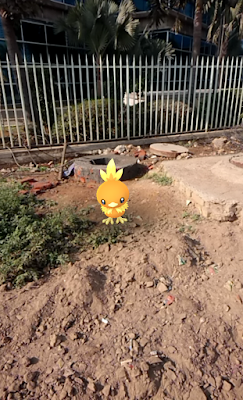 More so than any other game, the process of collecting Pokémon in Pokémon Go requires serious effort and a real willingness to commit, given the physical nature of the game and the need to travel to different real-world locations to find different critters. As a result, when you finally find a Pokémon you want in Pokémon Go, you’re rewarded with an immense sense of accomplishment and pride. This feeling then encourages you to continue your search for the rest of the critters, and ultimately attempt to complete the Pokédex—something most of us haven’t bothered with in years. Because of the time and effort spent on the singular goal of “catching them all,” it could be argued that Pokémon Go players are getting the purest, most distilled Pokémon experience we’ve had since 1998. This is likely why the game has reached the kind of heights no other Pokémon game on smart devices has managed to—because it’s been designed around a concept that was proven successful long ago. Again, 65 million MAUs, over 650 million users so far, and over $1.2 billion earned in revenue. That isn’t solely off the back off smart devices and a free-to-play model—it’s also the result of great game design. Design that was perfected back in 1998 and still works today. Meanwhile, The Pokémon Company has also announced that a brand new Pokémon game is in development for the Nintendo Switch, and company president Tsunekazu Ishihara has made some choice quotes about just what the shift to the Switch as Pokémon’s new home means. The move to a high-spec platform means that people will naturally expect the Pokémon world to be more engaging than ever. For Game Freak this means figuring out a way to tap what made Pokémon Red/Blue and Gold/Silver such enthralling experiences in the first place, and building upon them in a way that’s suited to a home console. For example; would people be willing to settle for random battles in a console Pokémon RPG? Probably not. So, how do you get rid of those whilst maintaining the structure of the game and the ease with which the player can encounter different kinds of Pokémon out in the wild? In short, Game Freak will need to re-examine the essence of Pokémon the way Pokémon Go has, modify it to suit a brand new platform that’s unlike any platform they’ve had to work on before, and re-communicate what makes the games such fantastic and addictive experiences. It most certainly isn’t going to be easy, but just the process of watching it happen over the next few games is going to be incredibly interesting regardless of what the outcome is.